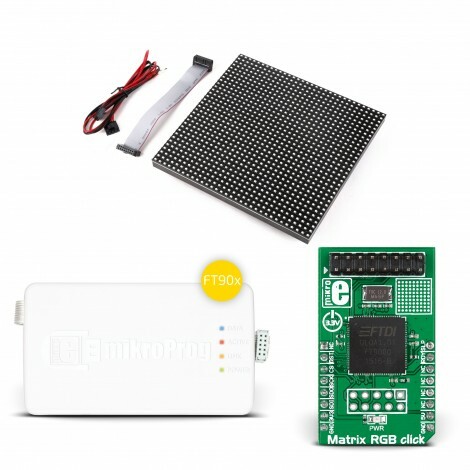 With this bundle, you will be able to make your own 64x64 pixels size display. Matrix RGB click is a mikroBUS™ add-on board powered by a 32-bit FT900 MCU designed specifically for powering 32x32 RGB LED matrices. The board has a 16 wire IDC connector for connecting to a single 32x32 LED panel; however, the firmware inside the FT900x chip, in this case, drives four panels.